We all know what autocomplete is and how it works (basically) but what we don’t really know is how much time it saves for us. A post by Google shows that Google autocomplete saves around 25% of our typing time or in other words around 200 YEARS of typing time per day, Yes you read right 200 YEARS per DAY! On the other hand google autocomplete is especially useful for mobile devices as you don’t have to take too long on typing on a smaller screen. Though, most of us have become master typists at this point. Google Autocomplete is a feature that you will find anywhere, that is wherever there is a Google search bar like obviously Google Home, Google app present in Android and iOS, Quick search box in Android and Omnibox address bar within Chrome. Type and there you have the predictions appear. In a Google article recently posted, Google has specifically used the word predictions to describe Google autocomplete rather than suggestions and for good reason too. Google autocomplete tries to predict what you want to search for, rather than showing you what different things you can search for. Google looks at real searches done by other users, trending information and your location and passed searches to create predictions in Google’s Autocomplete. It fills in predictions according to words already typed and eliminates search predictions that do not match words as and when more info is typed by us. When it comes to giving predictions, Google does not want to shock users in getting out- of- context and insensitive searches so they have put up a set of rules to govern the same within Google autocomplete. Some of the predictions that are against the rules are hateful comments against groups or individuals on the basis of race, religion etc., predictions that are violent and dangerous and harmful predictions. Google also removes predictions from Google autocomplete that are based on valid legal requests, those that are related to spam and those that relate to piracy. Google does its best when it comes to controlling inappropriate predictions but with sifting through billions of searches per day sometimes inappropriate predictions on Google autocomplete slip through the cracks and that is why sometimes we see things that at times can be shocking. Google has also started a feedback tool since last year that has been useful to them in removing unwanted predictions from Google autocomplete. They also plan on increasing the criteria for determining what is considered hateful in removing unwanted suggestions from Google autocomplete. Individuals too now can report anything that appears inappropriate on Google autocomplete. For those using a desktop there is “report inappropriate predictions” link that appears on the bottom of a search box and for those on Android, users can long press on the prediction to report it. Google Search is now becoming an e-book reader’s paradise by allowing them to find e-books from their local library. One of the most common problems for the average book worm is titles are not easily available and waiting periods are long. This problem is compounded since people have limited budgets. 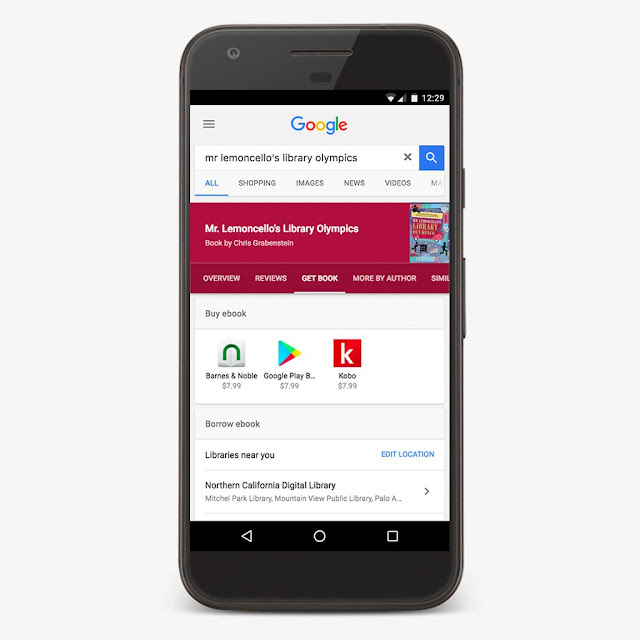 With the new Google search feature, book lovers are finding it easier to get books online. This Google search feature has now become a book lover’s paradise for its patrons. Google said on Monday, 18th September 2017, that they have added a new feature on their website. When looking for a title, the name of the library closest to you comes up in the search results and you can borrow it in e-book form. Many libraries across the US are now allowing book lovers to borrow books from their online collection. When you are looking out for a book through Google, you will get the name of the libraries near you, which carry that e-book as well as the outlets where you can buy it. The libraries that have the e-books will pop open in Google, known as “Knowledge Graph” cards. There is also a section that appears in the search results, that gives you info on searched-for books, such as description of the book, the author’s name, Good Reads ratings, and options for purchasing an e-book. The next time you search for a book title, you can see if the e-book is available to borrow from your library nearest to you. You do not need to go through the humdrum of searching for books through an archaic library, since now Google will do the needful on your behalf. It should save Google users the trouble of searching the digital collections at all the public libraries in the vicinity for a specific e-book title. When you click on the library’s link in the Google Search, the page on that library’s website with the e-book shows up. The new feature is available on both the mobile and desktop to the users in the US. On your mobile, search for the book you are interested in and click the “Get Book’ tab that appears on the top of the right hand side, just under the books info. You will be able to see where you can buy the e-book and below that, which libraries have it available. On the desktop, the purchasing and library info appears on the right hand side of the screen. You get the library info on scrolling down. Once you click the library, you will have to type in your membership details to log in and get the book. For those who make use of their library’s e-books, it is nice that Google will keep an eye out for you. E-book rentals are an excellent way to save cash if you are an avid reader. It can also be light on one’s pocket for those who set aside a budget to satisfy their reading habit. Now that you can easily access your library’s catalog from Google Search, go ahead and read to your heart’s content. Google is upgrading their features, making it easy for their users and patrons. This e-book feature is definitely making it convenient for their users and saving them a lot of time by saving a trip to their local library. This Google Search feature is currently in the US and they will be rolling it out all over, in the near future. Google gets a major chunk of its revenue from the searching engine business and nowadays almost 80 percent users make use of the smartphone to search online. Google understands a wide portion of the worldwide users lives in slow or poor connectivity regions which seriously hampers their ability to search online. Therefore Google has begun trial of a lightweight Search app which will be made available only on the Android platform in the Indonesian region. This Google Search lite app will help millions of users to perform search queries with better effectiveness. The best thing about this new Google Search lite app is that it is designed to work better than the default tools and sites available on the smartphone even in the slow mobile network regions. This Google Search lite app is amazingly fast in bringing results within moments of feeding the query in slow connection areas. Google Search lite app can be used within the existing browser of the smartphone as well where it makes use of the Google’s Lite Mode in order to reduce the load time factor and bring results at a fast pace to the users. 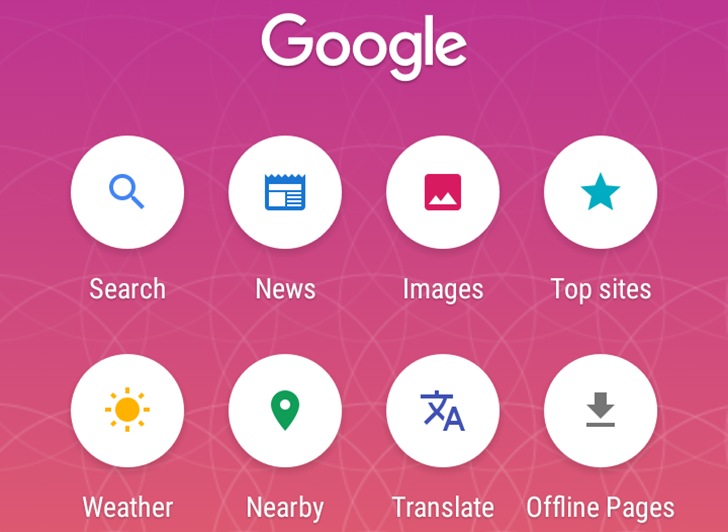 Another great feature associated with this Search lite app is that it allows users to switch between languages while making the search through swiping sideways. This Google Search lite app also features different ‘find shortcuts’ which are designed to take users straight to varies categories of web content. Shortcuts allow users to get endless stream of results in by simply clicking on any of categories from the fashion, beauty to news and almost anything. Users also get a chance to share their search query or download it or simply follow the trail of searchable webs pages. In short Google has brought almost everything into this light version of Search app to ensure people doesn’t lose of chance of successfully searching even in limited connectivity region. Rather than being a simple search tool Google has ensured that the new Search lite app allows users access to a wide variety of web content. So far Google has kept it under wraps whether this app will be launched on global level or it will made available in select countries suffering from limited or slow connectivity issues. Just a few months ago Google has also launched an app named Triangle which was aimed at helping users save more data on the Android platform. Quite incidentally Google isn’t the first tech firm to come with a light weight version of their popular app. Facbeook has launched a lite version of its popular social network just a year ago to bring connectivity, efficiency and connectivity to the users living in slow mobile networks region on global scale. Currently Google Search Lite version isn’t available on the Play Store but interested users can download the apk file of the same from the internet. IN order to enjoy Google Search in slow connection areas simply download the apk file, install it, choose the language and start making your searches.